While we eagerly await the release of Pixar’s next feature The Good Dinosaur this month, Pixar has treated us with a sneak peek teaser trailer and poster for the highly anticipated sequel to Finding Nemo, Pixar’s 2016 summer release Finding Dory. Check them out below! Disney•Pixar’s “Finding Dory” reunites everyone’s favorite forgetful blue tang, Dory, with her friends Nemo and Marlin on a search for answers about her past. What can she remember? Who are her parents? And where did she learn to speak Whale? Directed by Andrew Stanton (“Finding Nemo,” “WALL•E”) and produced by Lindsey Collins (co-producer “WALL•E”), the film features the voices of Ellen DeGeneres, Albert Brooks, Ed O’Neill, Kaitlin Olson, Ty Burrell, Eugene Levy and Diane Keaton. 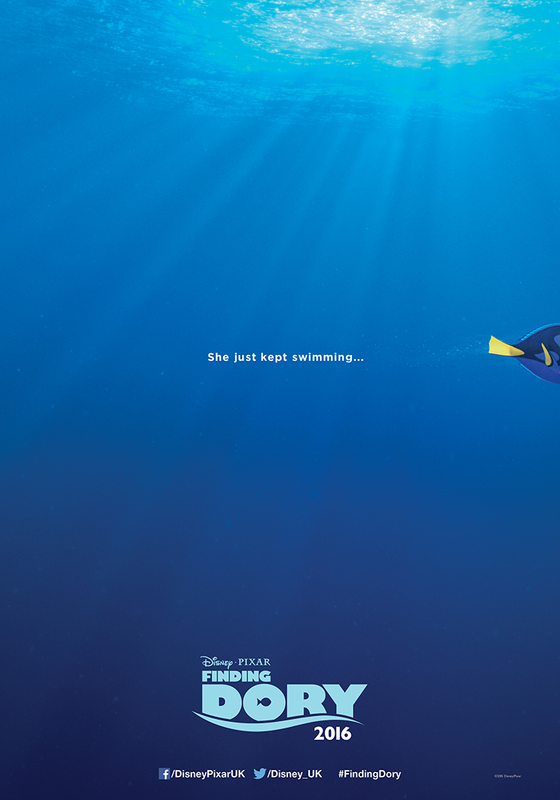 Finding Dory swims into UK cinemas on 29th July, 2016.